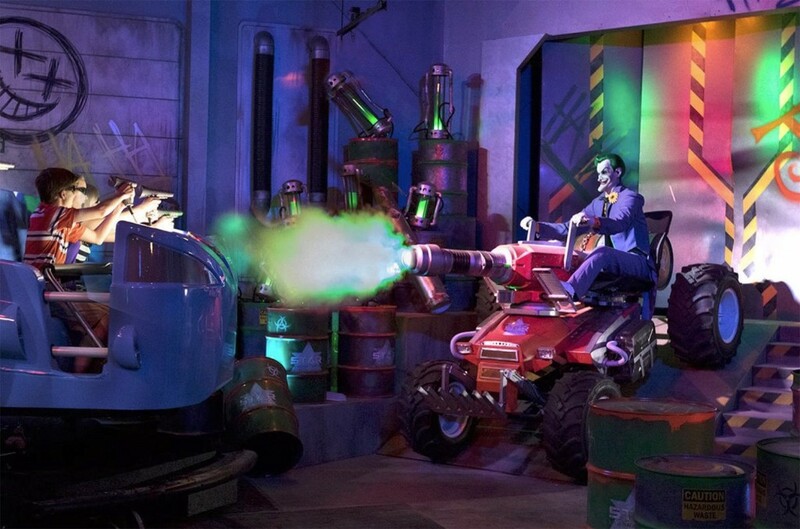 JUSTICE LEAGUE: Battle for Metropolis 4D is the premier superhero adventure mission that opened for Six Flags St. Louis and Six Flags Over Texas, Spring of 2015. 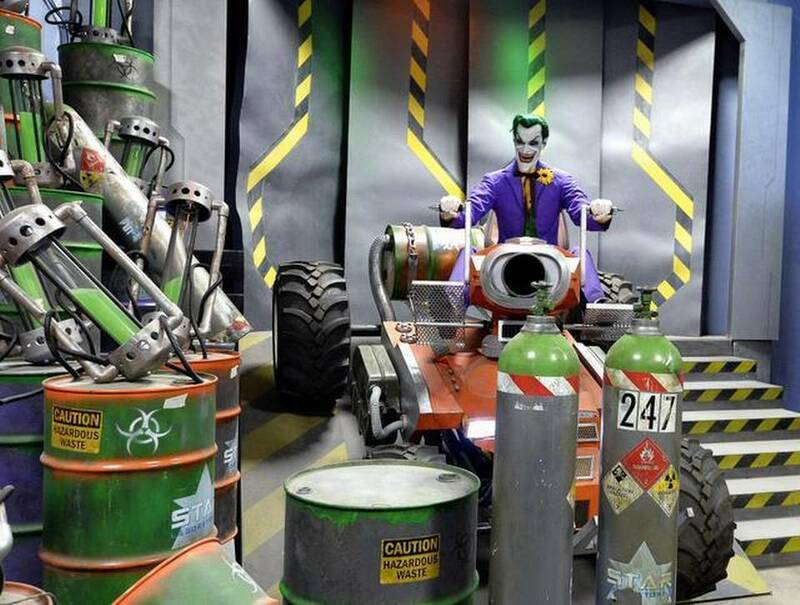 With its state-of-the-art 3D media gaming content combined with high-quality animatronics, show action sets, and special effects, this 4D interactive ride instantly became a fan favorite and was voted one of the year’s best new attractions. 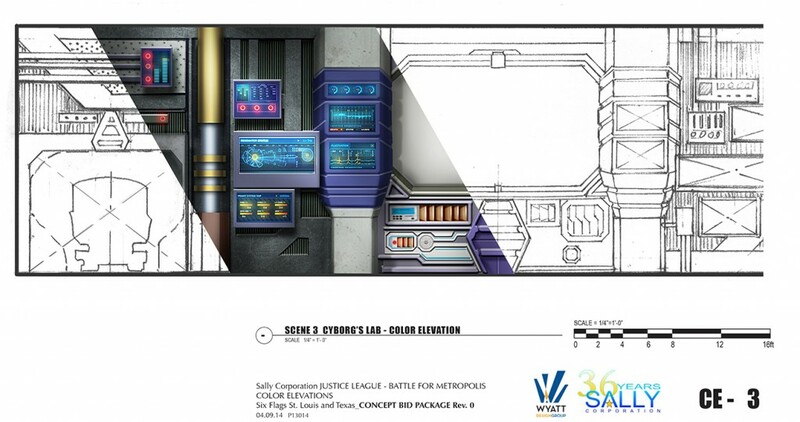 Wyatt Design Group, Inc. provided client Sally Corp. the show set design from concept to bid packages for this highly successful attraction, adapting the story line into sets in two vastly different configurations in St. Louis and Dallas. 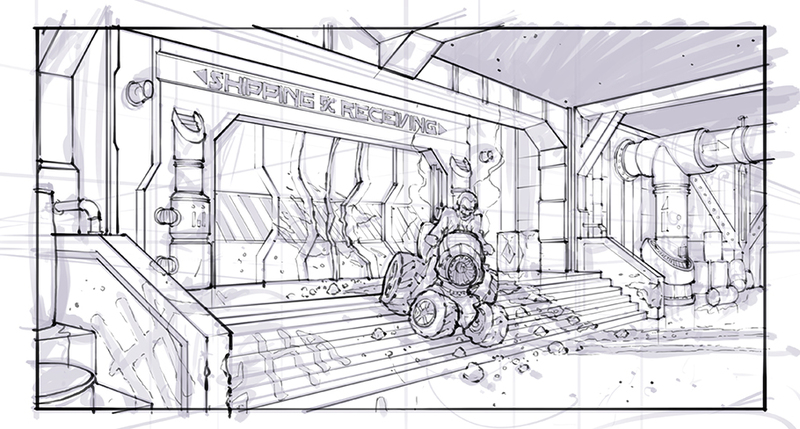 Working in collaboration with Art Director Rich Hill (Sally Corp.), the IP owner (DC Entertainment/Warner Bros. Consumer Products), and with the ride manufacturer’s specifications (Oceaneering), the media producer (Pure Imagination), and taking into consideration the logistics of time, space, and budget, WDG created the show set design package that was bid from, detailed, and eventually built by the fabricator (Lexington Scenic) and all the providers of the installation. More info on Sally Corp here. Watch the video. 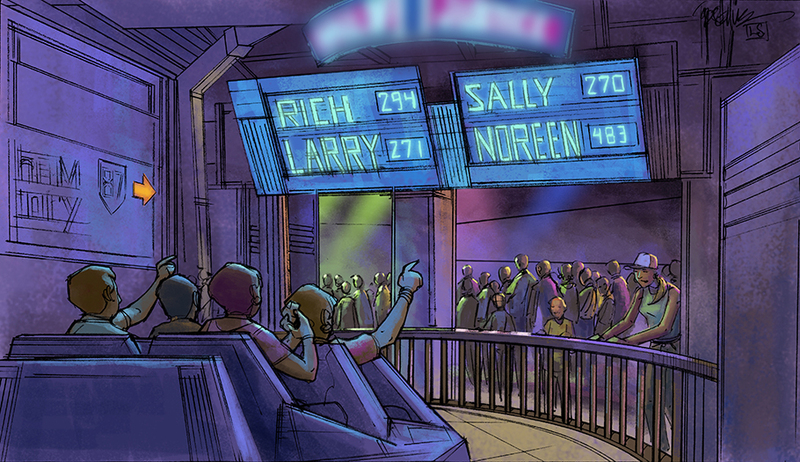 WDG continues our collaboration with Sally Corporation; as we are currently engaged in design of yet another generation of this hugely successful interactive ride to be installed in an international studio theme park that cannot be named at this time for Spring of 2017.